Pensioners who move abroad need to manage their finances in a manner that will enable them to achieve retirement bliss through their savings and pension income. However, to successfully become expatriate pensioners, people must first find a suitable location, and make sure they have enough money saved up to enjoy a comfortable retirement. 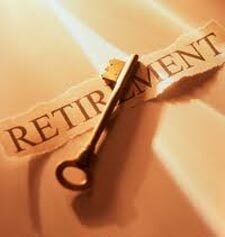 Another statistic, albeit a more worrying one, is that a large amount of retirees are not seeking out financial advice. Financial advice is incredibly important, especially for expats. There are a number of financial products and pensions schemes that are available to expat retirees, and in some cases you may not be aware of these if you do not speak to an adviser. For expat retirees, a great option is the QROPS. QROPS, Qualifying Recognised Overseas Pension Scheme, is a pension transfer available to all people who have a UK pension. It is completely recognised by HMRC and is a legitimate way to maximise your existing pension, and thus get more out of your foreign retirement. If you are planning a retirement abroad and wish to learn more about QROPS, and other options available, get in touch with a recommended IFA.